← How much do we really understand about pollination syndromes? I am now officially inspired to take a photograph up my nose with an unfeasibly large bee. Blogging certainly widens your perspective! 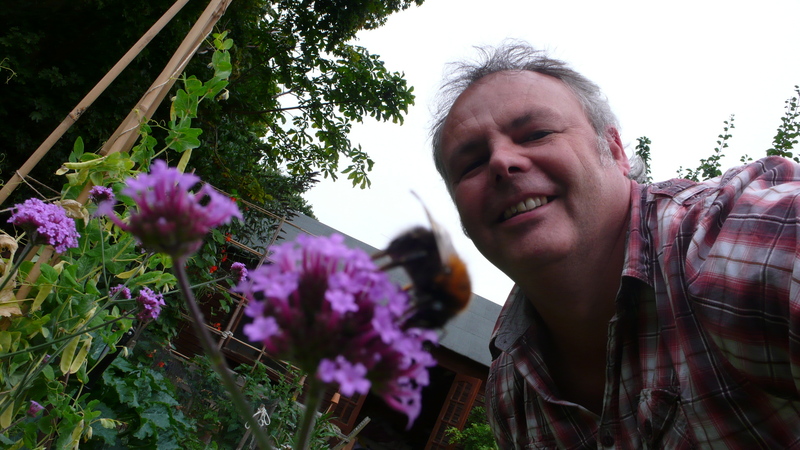 So far all I have achieved is to scare away any pollinators and nearly fall in our pond…………. Yes, it’s not as easy as it appears! Tricky shot, glad you sustained no injuries taking it for us! I feel like it would be fun to take Selfies with Selfers. Perhaps noting the absence of pollinators? Pingback: Sharks are not as deadly as selfies « Nothing in Biology Makes Sense!